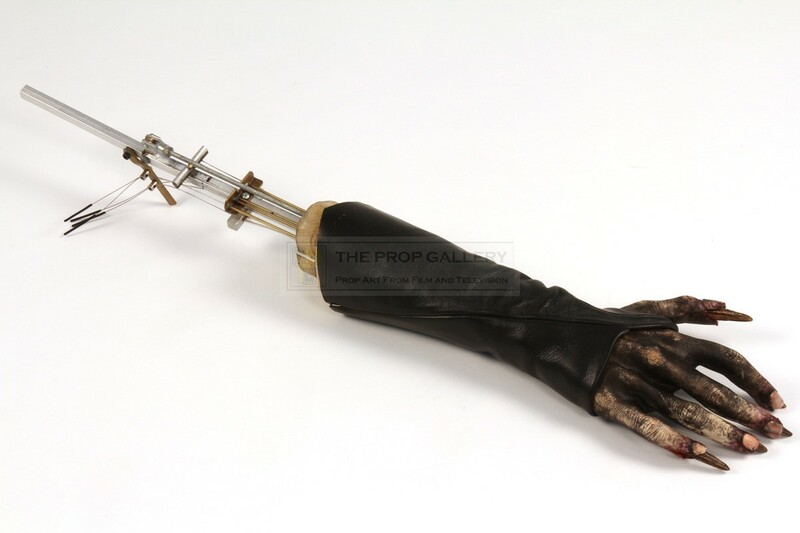 An original prop used in the production of Doghouse, the 2009 comedy horror picture directed by Jake West. 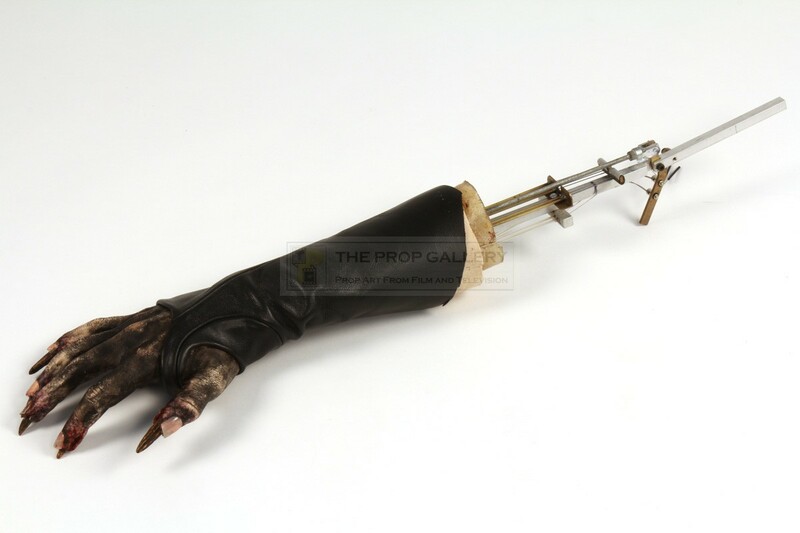 This is the original animatronic mutation arm for the character of The Snipper portrayed by Emily Booth which can be seen as the phase two evolution takes place and claws are seen emerging from her fingertips, an effect which was achieved practically rather than digitally. 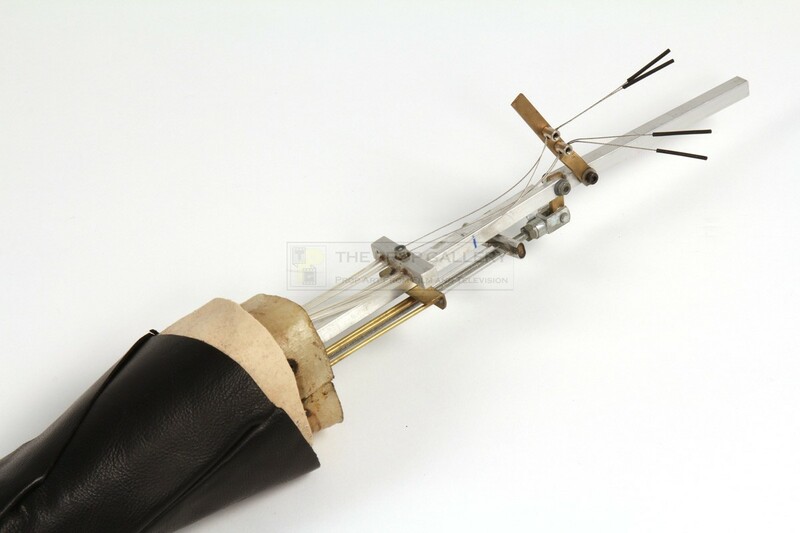 The complex animatronic prop arm is of silicone construction created using a mould taken from Booth's own, this over a base of fibreglass through which run a metal bar and the various lever connected cables used to operate the claws extending from the fingertips. 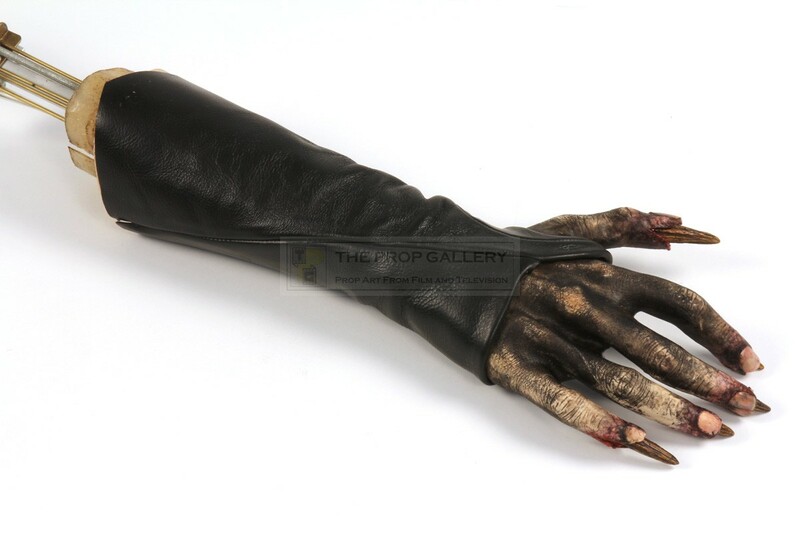 The arm is made up to resemble that of the character, dressed with stage blood and wearing a costume of black leather. 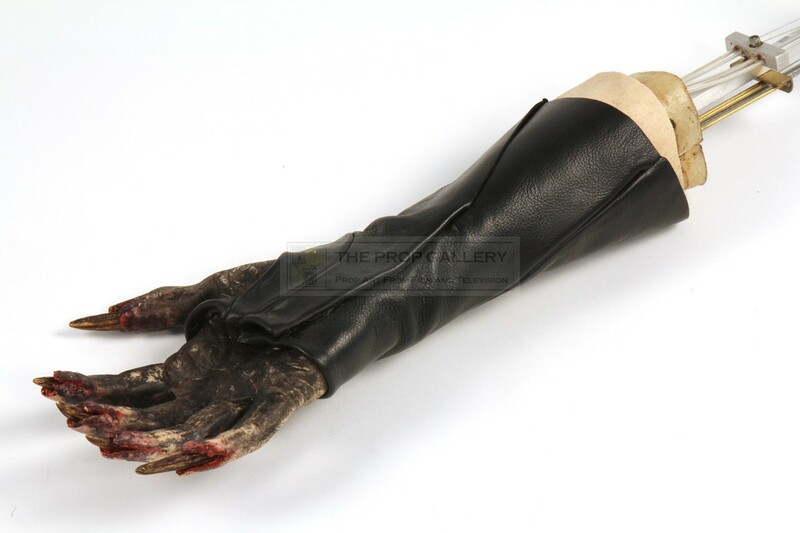 The prop measures approximately 24" long including the bar and remains in excellent production used and operational condition with some loss of make-up to the hand revealing the silicone below, generally fine. A highly displayable principal character artefact from the production.